This Spring craft is an easy adorable spring flower decoration for your front door. I love the umbrella style wreath. Such a cute alternative. PLUS tips for arranging flowers! Check out the full Spring Wreath Tutorial here. This Easter Wreath is the cutest DIY Wreath. The Easter themed embellishments can be easily removed and replaced with spring ones to keep the wreath beyond Easter season. 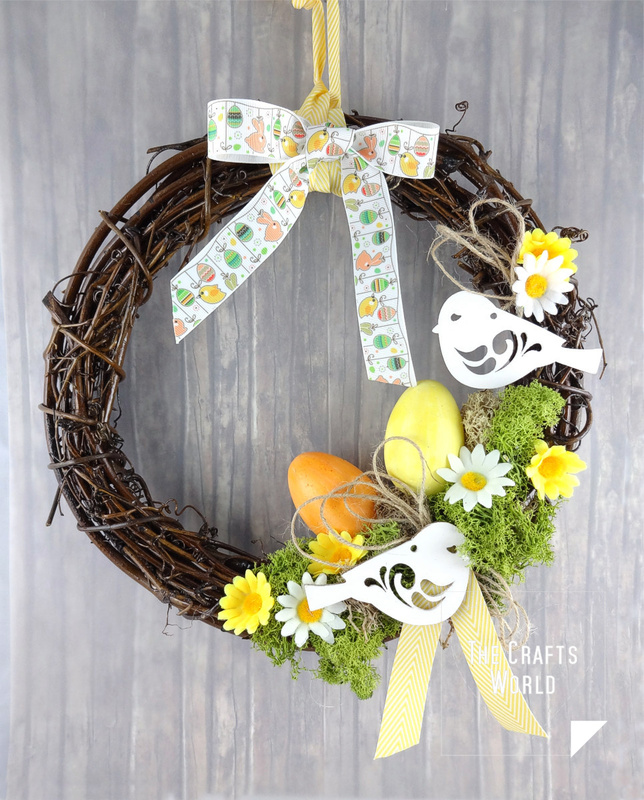 Learn how to make your very own Easter Wreath here. These magnolia leaves are turned in to an amazingly decorative Christmas wreath, You will need some gold and silver paint and a whole bunch of Magnolia leaves. learn how to make it here. Is your household a geeky tech savvy switched on household? Then this non traditional Christmas wreath is just for you. This geeky Christmas wreath is also perfect for Technology office doors and workplaces.